About Reconnective Healing and The Reconnection. 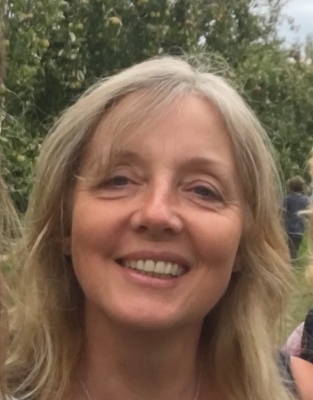 I am a Reconnective Healing Foundational Practitioner, qualifying in London in 2015 under the direct training of Dr Eric Pearl. I am also a Reconnection-Certified Practitioner, enabling me to facilitate The Reconnection. Based in the South West, my practice operates from York House, Centre for Integrated and Complementary Medicine in Taunton. I am passionate about helping people recover from pain, stress and illness and move their lives into a happier place. I found Reconnective Healing offers this and more. A Reconnective Healing® session last about 30 minutes. The healing is performed with the client lying down on a massage table fully dressed (shoes will need to be removed). However, if you have difficulty in lying flat, cushions can be used to support the head, back and knees or alternatively the healing can be done from a chair. It is important to ensure you are as comfortable and relax as possible. The Reconnective Healing® itself is a hands-off form of energy healing. Every client has a unique experience during the healing and the most successful sessions are found when clients can relax and just observe the body. It is important that no relaxation techniques are used during the healing e.g. meditation, praying etc., as this dilutes the effectiveness of the healing, so just lie down and enjoy. The Charge for Reconnective Healing is £45 a session. Payment is always made up-front before the healing as this allows the client and myself to focus fully on the treatment itself. Payment can be made in cash or cheque. Alternatively a payment can be made from the paypal link at the bottom of this page useing paypal or a credit card (link to follow shortly). The Reconnection is a once-in-a-lifetime experience that ties us back into a timeless system of intelligence. It requires two sessions within two days of each other. Each session lasts approximately 30 minutes and; like Reconnective Healing; is a hands-off process. The charge for a Reconnection is always fixed at €333 or the equivalent in Pounds. Although working as a textile design for many years, I have always been interested in alternative threrapies and always used homeopathy on my family and friends before seeking convensional medicine. and then a Reconnection®-Certified Practitioner. I am a registered practitioner on the official website www.TheReconnection.com and undertake ongoing regular training to ensure my skills are kept up to the high level expected. Although based in Taunton, Somerset, I can travel further afield if required. A Reconnective Healing® session can be conducted as a distant healing i.e. at an arranged time, the client can undergo a successful healing from a different location to the practitioner, anywhere in the world. Although I would always recommend being with the practitioner to enable close observation during a healing session , sometimes this is not possible and Reconnective Healing still works well in this way. How does Reconnective Healing® work? Discovered by Dr Eric Pearl (as seen in the image below), Reconnective Healing® is a form of healing that is here on the planet for the very first time. 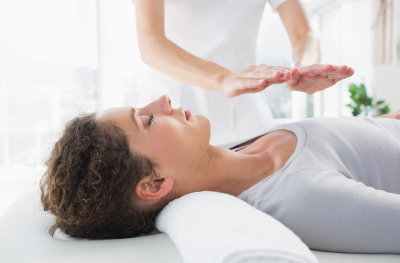 It is a powerful and intelligent, hands-off energy, which works by the practitioner placing the hands above the body and circling the hands to connect with your energy field. The intention of Reconnective Healing® is to reconnect you to the fullness of your being and who you truly are. Ultimately the energy works at whatever level you require, whether that is physical, mental, emotional, spiritual or any other level we're not consciously aware of. The universe knows and understands the way in which you need healing and, as such, each person's session is different. You will undergo your own unique experience as the healing frequencies work on you to whatever level you require. However it is important to understand that a Reconnective Healing® session is only the beginning - the energy opens up your being to heal at all levels and continues to work with you long after your session has ended. Everyone’s experience with Reconnective Healing is unique. Often healings are reported in an instant in just one session. Sometimes it takes a bit longer for a healing to unfold. A maximum of three sessions is recommended. Your healing may come in the form you anticipate… Or it may come in a form you haven’t even dreamed of, one that the universe has designed specifically for you. The best way to allow for a healing is to proceed in a state of expectancy, without specific expectations or attachment to results. Eric Pearl, The Reconnection, LLC, The Reconnection (Europe) SL in connection with The REconnection and Reconnective Healing, collectively "The Reconnection" including but not limited to seminars, teachings, any information or people, ioncluding but not limited to practitioners, instructors, assistants, representatives, associates, employees, agents and or assignees related thereto, make no promises, guarantees, representations and or warranties regarding medical diagnosis and or medical treatment. We are neither diagnosing nor treating specific health challenges. You are solely responsible for seeing to and/or continuing with your own medical treatment and care.and should consult your own doctor before undergoing any treatments. Photo taken during my Reconnection training in London. Taken during my Reconnection training in London.